Get sober, find your purpose & thrive in recovery. This episode includes highlights from a recent conversation with Mastin and Tommy Rosen, author of Recovery 2.0, published by Hay House and host of the Recovery 2.0 Podcast. Tommy Rosen is a yoga teacher and addiction recovery expert who has spent the last two decades immersed in yoga, recovery and wellness. 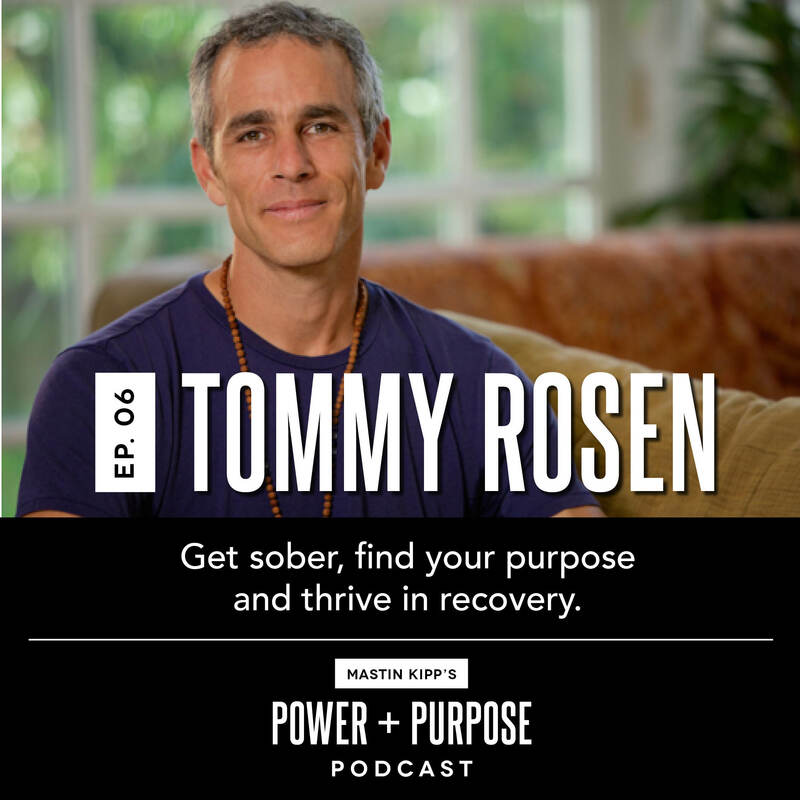 In this episode, Tommy explores with Mastin how to find your purpose and thrive in recovery. Topics covered include Mastin couch surfing with Tommy, what happens after you kick an addictive habit, why codependency is a disease of the lost self, the concepts of primary and secondary addictions, and more. For access to the entire interview and a transcript of every word said, visit MastinKipp.com/6.